GetEducated.com calculated the national average in-state cost of a hospitality master’s program at a regionally accredited institution at $24,002. Even for out-of-state students, Frostburg’s program is significantly less expensive. Frostburg’s total in-state program cost was calculated to be $12,870; total out-of-state costs were $16,410. Frostburg’s online MS in Recreation and Parks Management offers flexibility for working professionals and is designed in a cohort model where students can capitalize on networking with a consistent group of classmates while progressing through their courses. Frostburg’s 30-credit hour program is divided into four blocks including foundations, resource management, administration and research. Enrollees can take advantage of a fifth block to take any deficiency or supplemental courses. Two seven-week intensive courses offered online every semester enable students to complete the program in two years. Over the past decade, GetEducated.com has ranked several other Frostburg online programs as Best Buys, including FSU’s AACSB-accredited MBA program; RN to BSN program; Master’s in Nursing; Master’s in Applied Computer Science; and the Master of Education, Special Education concentration. 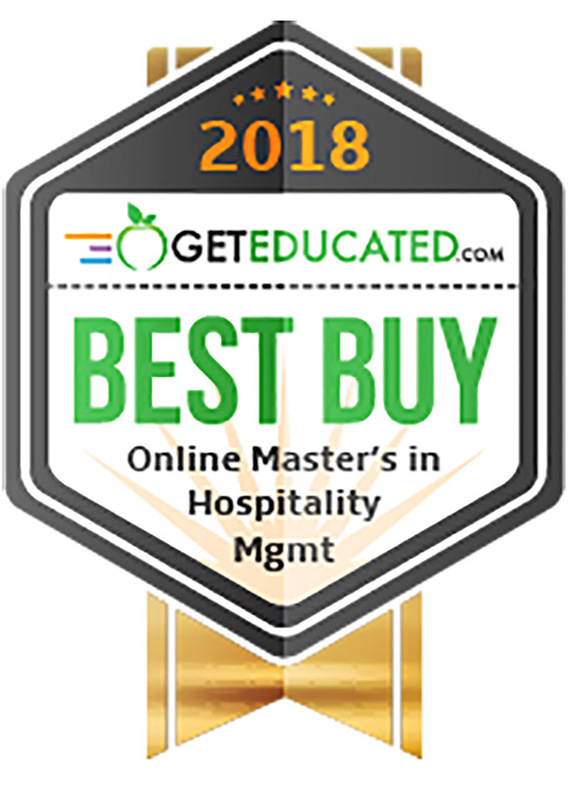 To view GetEducated.com’s ranking of the eight Best Affordable Master’s in Hospitality Management Online, visit https://www.geteducated.com/online-college-ratings-and-rankings/masters-in-hospitality-management-online. For more information about FSU’s Master of Science in Recreation and Parks Management program, visit https://www.frostburg.edu/academics/majorminors/graduate/ms-recreation-and-parks-management/index.php. GetEducated.com is a consumer organization that publishes online college and university rankings along the dimensions of affordability and credibility. The company was founded in 1989 by a psychologist and educator and was created in partnership with America Online and the Electronic University Network.